A new plan to build a ski center, as well as a road, in Macedonia's Galichica National Park  threatens the existence of more than a hundred rare and endemic species, jeopardizing the ecosystem of Europe's oldest lake . In late August 2015, the Macedonian government announced a 10-year urbanization plan  for Lake Ohrid  and Galichica National Park, much to the dismay of the international scientific community and many Macedonian citizens. Construction is scheduled to begin in the middle of Galichica National Park, which is part of the Prespa-Ohrid Transboundary Biosphere Reserve —one of only 15 remaining in the world. The unique national park is also part of a larger UNESCO World Heritage Site . Galichica is home to more than 5,330 different types of plants and animals, of which 114 are endemic and do not exist anywhere else in the world. More than 1,500 species of butterflies and moths live in the meadows of Galichica, among them the endangered Appolo butterfly  (Parnassius Apollo). Another fascinating resident of Galichica is the small Crocus Cvijicii flower , which, like the Appolo, is also on the IUCN list of vulnerable species. 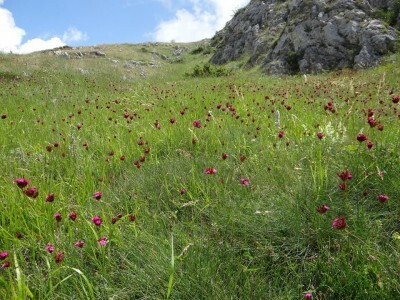 The recent decision by the Macedonian government to build a ski center , an expressway, and three tourist development zones inside the biosphere reserve came as a shock to local ecologists and members of the Macedonian public, some of whom have decided to protest the decision through media and petitions against the urbanization plan. 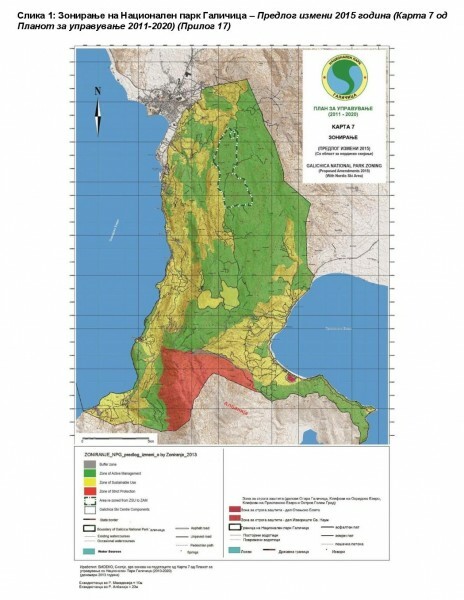 At the last hearing for the Strategic Environmental Assessment for the Management Plan for National Park Galichica , one of the authors of the assessment, Elizabeth Van Zyl, explained that some areas need to be rezoned. Van Zyl proposed that the site should be excluded from the Zone of Active Management (ZAM) and transferred to the Zone of Sustainable Use (ZSU), to allow project infrastructure to be developed there. A total of approximately 604 hectares from within the ZAM are set to be reduced in status into the ZSU. To compensate for the loss of valuable biodiversity, offset measures  will be used and areas of the park that may be negatively affected by the planned development projects will be replaced with other areas with the same species, found anywhere else in the country. This seems to be just one of many issues regarding the UNESCO heritage site in question and Macedonia might have a large-scale ecological disaster on its hands because of the close connection between Lake Prespa , Mount Galichica, and Lake Ohrid. According to recent research  conducted by scientists from the University of Cologne, Ohrid Lake is over 1.2 million years old, making it the oldest lake in Europe. Three tourist development zones are also planned around the coast of Lake Ohrid. Resorts, luxury accommodation, and artificial beaches  will replace the protected reed belt that now serves as a filter and provides nutrients to the lake and its inhabitants. “Destroying the shorelines and the reed belts due to construction work, increased infrastructure, and a rise in the amount of tourism will lead to elevated nutrient input to the lake, which may, in turn, cause destruction to large parts of the habitats of Lake Ohrid’s unique fauna ,” explained Dr. Bernd Wagner from the Institute of Geology and Mineralogy, University of Cologne. To raise awareness about the flora and fauna that these projects will endanger, the civic initiative dubbed Ohrid SOS has released a declaration  and launched an international petition . The declaration has already been signed by 250 international experts, as well as tourists who have visited Macedonia, and scientists from across the globe who have reached out to acknowledge the importance of Lake Ohrid. Given Macedonia’s track record in urbanization so far, with the capital Skopje  now being the most polluted city  in Europe due to increased construction projects  since 2012, this natural treasure might be in serious danger and the country stands to loose much more than just its UNESCO world heritage status in Ohrid.